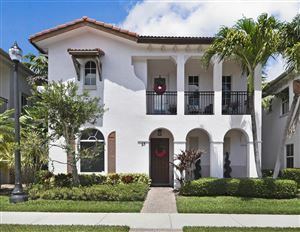 Evergrene is a well-structured and gated community located in Palm Beach Gardens, Florida. Either you choose to sit outside watching birds in your home backyard or benefiting from the outstanding club services and events or occasions, Evergrene is a fantastic place for families, single working experts, retired people and snowbirds. It's just a few minutes from the beach, fantastic dining and shops, and is quickly reachable from I-95 and Florida Turnpike. This lushly landscaped community is an Audubon International Gold Signature development, the world's very first and among the few in Florida, consisted of 963 buildings which range from two and three bedroom flats to five bedroom individual family homes. The community consists of eleven subdivisions as well as three Associations each one next to lush forest places and all-natural wildlife preserves. Campbell Property Management controls the whole 365 acres which includes the club. The Evergrene Master Association manages the whole property. The condominim models are as well managed by their individual associations; Mansions West (Lang Property Managment ) and Mansions East ( Campbell Property Managment ). Lake Dorothy is the center of the property with a 36.5 acre lake that's enclosed by wide walkways where people enjoy jogging¸ biking, and strolling around. Whilst other communities just allow entry to their lakes and retains if your home sits perfectly on it, Evergrene is among the few communities whose biggest and most pleasant green areas are available to everybody in the community by walkways and nature routes. Additionally, most properties in Evergrene specifically adjoin whether a lake or protected community. The Clubhouse provides various amenities present in many of the best country club communities. It's situated on the shoreline of Lake Dorothy. Here you'll find a huge array of structured activities for adults, their kids and also friends. The clubhouse possesses a fully-staffed team that's available to make sure that your club experiences match your desires. The people in Evergrene take pleasure in private accessibility to an advanced health club, dining facilities, aerobics room, among the biggest modern pools in Palm Beach County, basketball, teen room as well as poolside Tiki bar, volleyball courts and much more! To improve your amusement, photo I.D. cards are provided to all Evergrene residents and family residing in Evergrene. These cards are needed to enter into the clubhouse every time and allow members to sign-up for online events. People that have charging privileges could also use their ID card to charge meals, beverages as well as event expenses.